Russia's permanent representative to the Organization for the Prohibition of Chemical Weapons (OPCW), Alexander Shulgin, said Russia has irrefutable evidence that there was no chemical weapons incident in Douma. Shulgin added that the US, UK and France are not interested in conducting an objective investigation of the attack site. "They put the blame on the Syrian authorities in advance, without even waiting for the OPCW mission to begin to establish the possible facts of the use of chemical weapons in Syria," he said. The nine-member OPCW mission people has yet to deploy to the city of Douma according to the organization's Chief, citing pending security issues. The Russian Envoy says that the controversial "White Helmets" were one of the anti-Assad "pseudo-humanitarian NGOs" which staged the event. As Disobedient Media and others have reported, the White Helmets are funded in large part by the United States. Moscow says they have confirmed that "these structures [NGOs] on a fee-based basis cooperate with the governments of the United States, the UK and some other countries." "Everything has been developing according to the script that was prepared in Washington. There is no doubt that Americans are playing the ‘first violin’ in all of this. 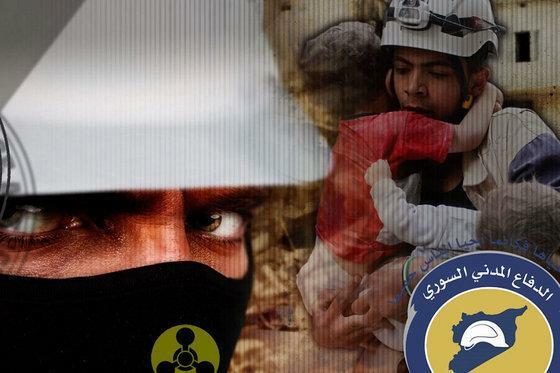 The United States, the United Kingdom, France and some other countries after the "fake" addition from the White Helmets and their ilk in Douma, immediately pounced upon the Syrian authorities with accusations," Shulgin said. Russian Foreign Minister Sergei Lavrov shot back in a BBC interview, saying “I can guarantee that Russia has not tampered with the site." 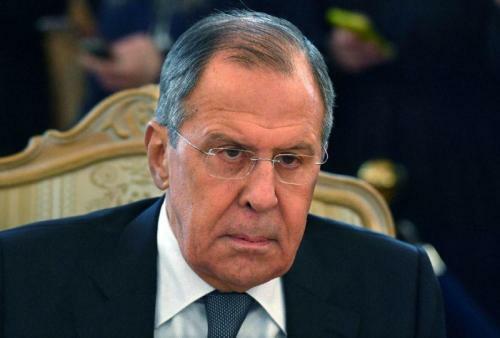 On Friday we reported that Russia's foreign minister Sergey Lavrov said that Moscow has "irrefutable evidence" that the attack - which allegedly killed over 40 people, was staged with the help of a foreign secret service. "We have irrefutable evidence that this was another staged event, and that the secret services of a certain state that is now at the forefront of a Russophobic campaign was involved in this staged event," he said during a press conference according to AFP. Quoted by Reuters, he said: "We have... evidence that proves Britain was directly involved in organising this provocation." As RT further adds, the Russian Defense Ministry presented what it says is "proof that the reported chemical weapons attack in Syria was staged." It also accused the British government of pressuring the perpetrators to speed up the “provocation.” During a briefing on Friday, the ministry showed interviews with two people, who, it said, are medical professionals working in the only hospital operating in Douma, a town near the Syrian capital, Damascus. If so, we'll be waiting for a long time.